Will be available for ISC and Intermediate starting April 2012. 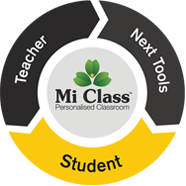 Note: Apart from coaching for core school subjects, we provide virtual and physical labs for Mathematics, Science, English and ICT-based programmes. Another option integrated into the programme is the Finishing School, which deals with behaviour traits, attitude skills, and life skills.